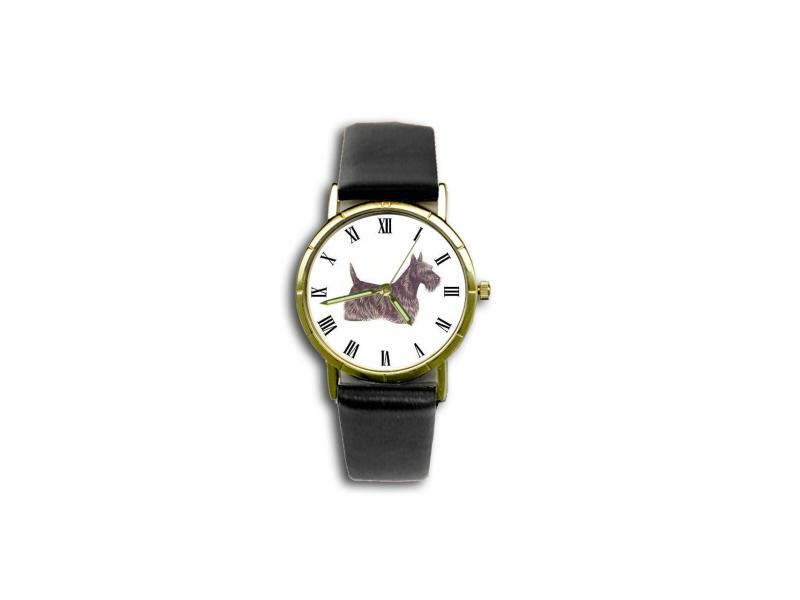 Scottish Terrier Wristwatch, Citizen quartz movement and gold plate-encased. Has a black leather band, sweep second hand, and a scratch-resistant crystal. Face measures 1-1/4 inches across. Full one-year warranty.